Spice Box Designs: What's in a Name? I was asked to join this wonderful blog hop because I have recently posted about this at the suggestion of the hostess, Shelley from Fabric of My Life. Because of this I decided to just share my link that will take you to where I came up with Spice Box Designs. Be sure to check out the lovely people also participating in this to find out what is behind their name as well! ((Marla)).. I am embarrassed to say I did not know who Leonard Cohen was. Thanks to you I will soon - I just ordered one of his albums from the library, so I will report back. PS AND thank you for the cute owl birthday card, so adorable!! Nice to get to read your story! Wonderful story from a wonderful designer. 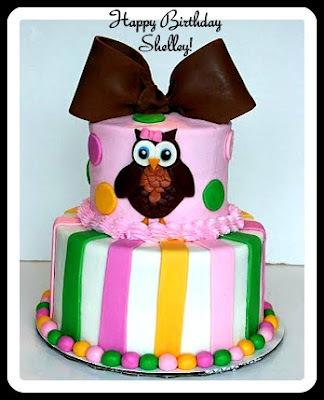 Just love the look of this blog page, and that birthday cake is to die for!! !